Hurry and reserve PokemonDelaCruz.com before it's too late! Remember when parents used to make plaster casts of their newborn babies' feet to remember how small they were? 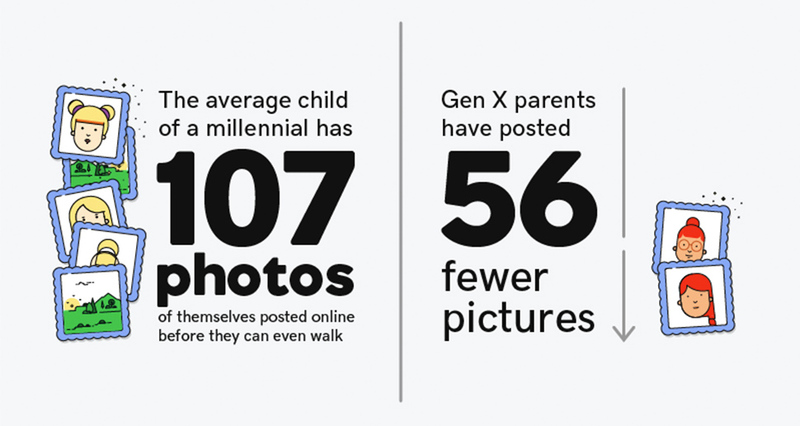 These days, millennial parents are obssessing about their kids' online footprints more than the prints from their actual widdle feetsies. 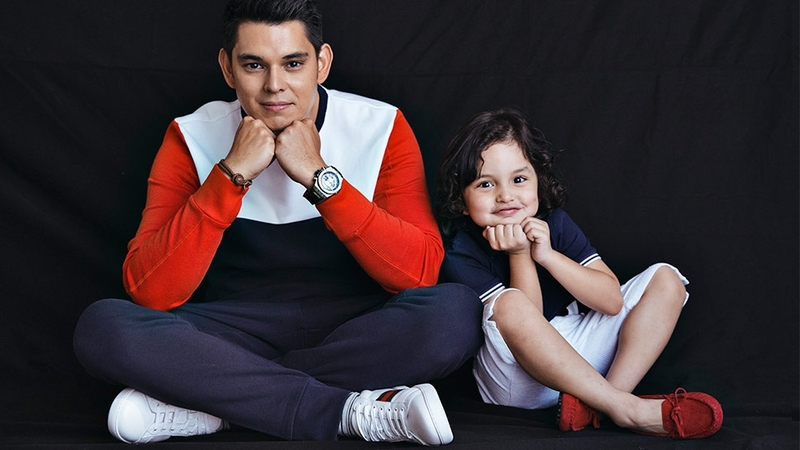 According to a poll commissioned by Internet domain registrar and web hosting company Godaddy, millennial parents are preparing their kids for an online life even before they're born. 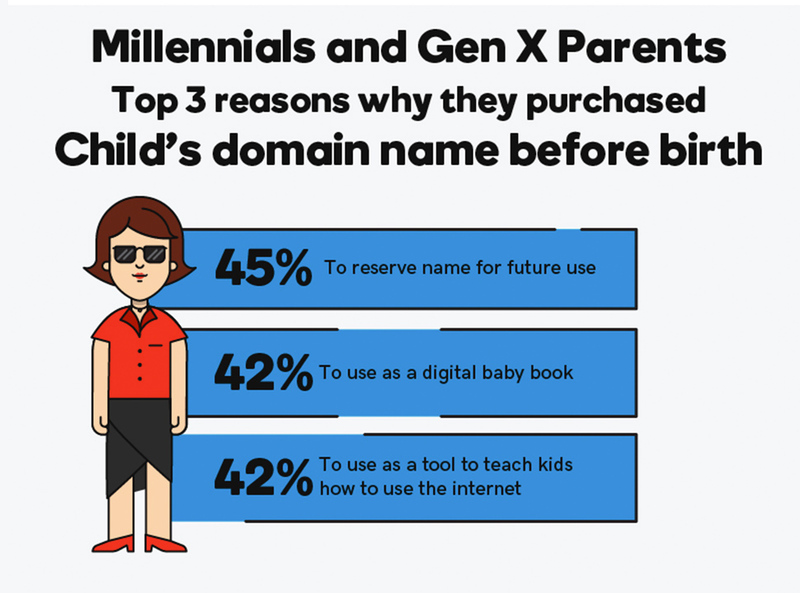 This includes worrying about the future domain names of their (inevitable) websites, apparently: As many as 20% of millennial parents said they changed or considered changing their baby’s name based on what domain names were free at the time. 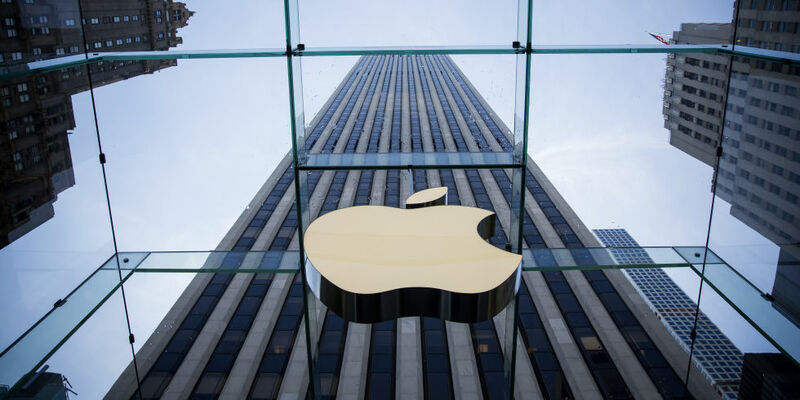 The study, which compares the attitudes and behavior of millennial parents (aged 24-38) with Gen X parents (aged 39-53), reveals that the importance of a strong internet presence for children has nearly doubled among parents between the generations—48% of millennials believe it’s important for their child to have an online presence early in life, compared to just 27% of Gen X respondents. 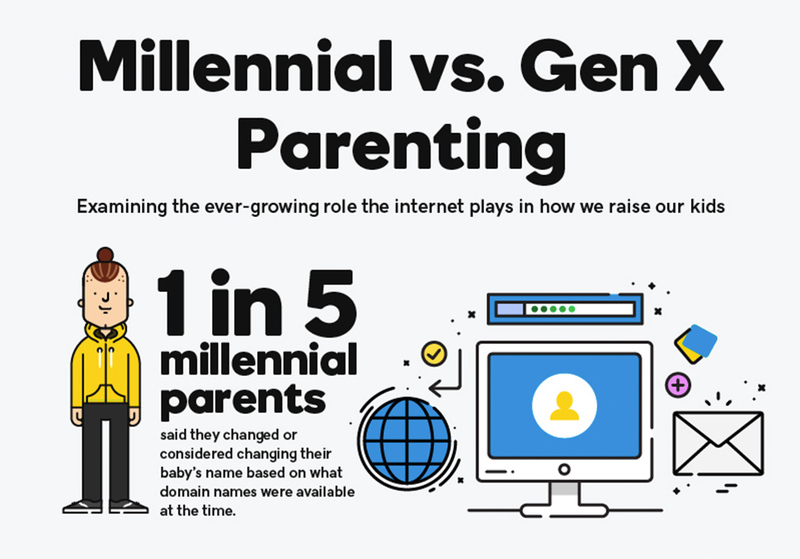 Millennial parents are also more proactive with getting their kids set up with their own websites: 38% have created or are considering creating a website for their kids, compared to only 20% of their Gen X counterparts. Of course, millennial parents are only speaking from experience, since millennials are the first generation of digital natives who have grown up with the internet. In fact, more than half of millennials say they got their first social media profile between the ages of 10 and 17, compared with only 10% of Gen X parents. 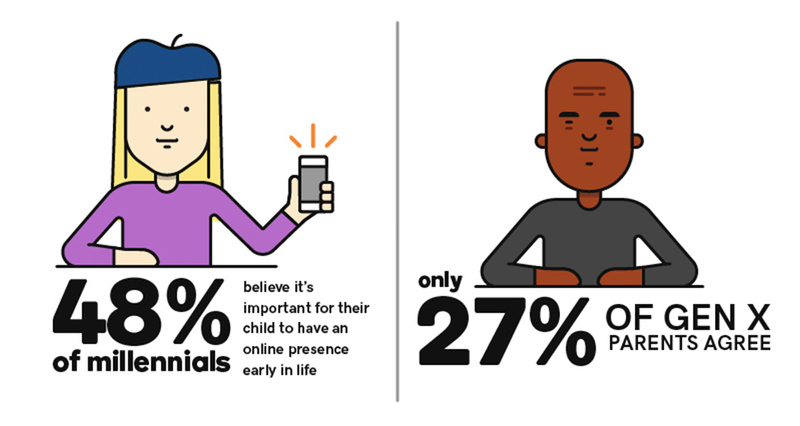 Thankfully, parents of all ages are conscious of the dangers and responsibilities their children will face online: 94% of all survey respondents reported that they plan to speak to their children about how to responsibly maintain their online presence. Education on how to represent oneself online is a top priority for parents. Nearly half (42%) of respondents that had created a website for their kids intend to teach them what should and shouldn’t live online, using the website.